When I arrived in Iloilo I knew I had made the right choice—as soon as the team met us at the airport, we felt welcome and at home. It was incredibly reassuring having someone so happy to meet us and take us to the Work the World house. The house and the staff were great. They were willing to help us with anything! They all had fascinating backgrounds, so it was worth getting to know them! 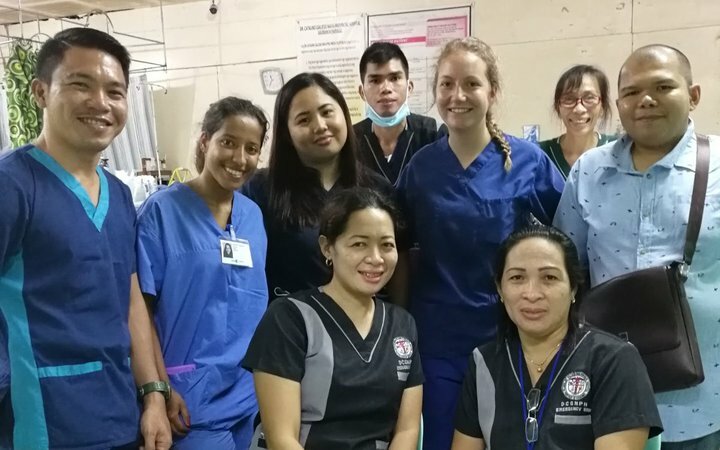 The hospital staff were what made my placement— Filipino people were genuinely some of the happiest people on the planet. During placement, there were things that were surprising to see. There was a lack of infection control, a lack of pain management, and a lack of resources in general. It wasn’t unusual to see patients sharing a bed. 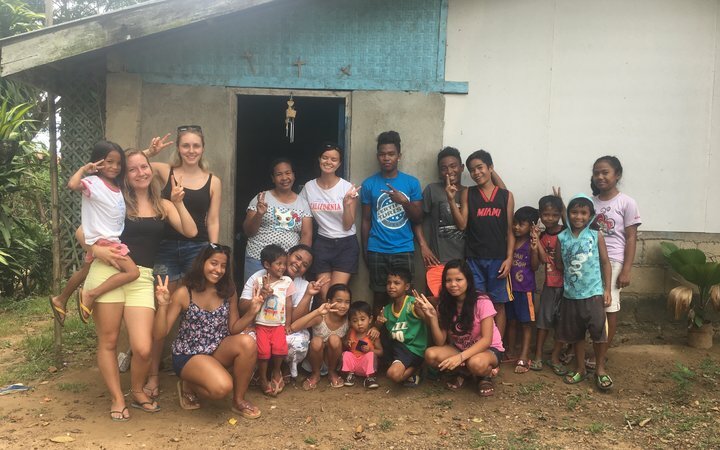 The hospital staff were what made my placement— Filipino people were genuinely some of the happiest people on the planet. They love foreign people, and welcomed us into their land. They were a bit shy at first, but we stuck with it and we all ended up laughing together. They were so knowledgeable, and we learned a lot from them. While I was out there, there was a student nurse presentation group. Each student had a patient case scenario, and explained everything from anatomy and pathophysiology to management and medications. It was a real privilege to see how local nurses were trained. Work the World’s Village Healthcare Experience was another highlight. The tribe we lived among—the Ati people—were badly discriminated against. They told us that it was because they were darker skinned than other Filipino people. Despite this, they were some of the happiest people we met. They went above and beyond just to make sure we were comfortable! While in Iloilo, we made friends with local people who worked in a music shop in the mall. My housemates jammed with them in the shop as I watched. The next thing we knew, my friends were invited to perform at a gig later that week! We invited our other housemates and everyone came. The support was great! 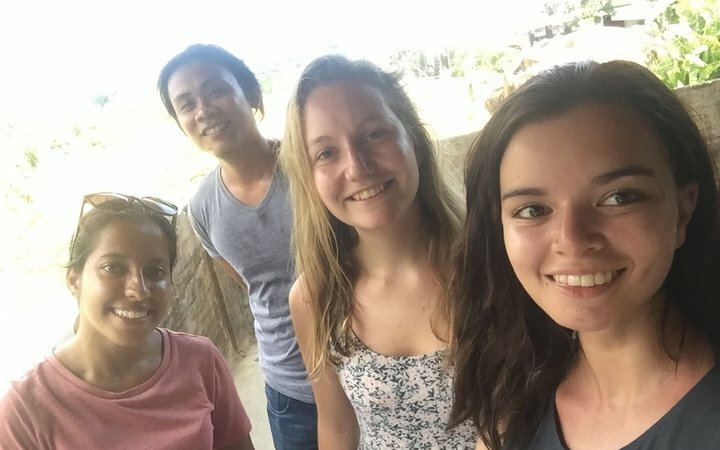 So, Sharon, Susana and Emma did their first gig in the Philippines! 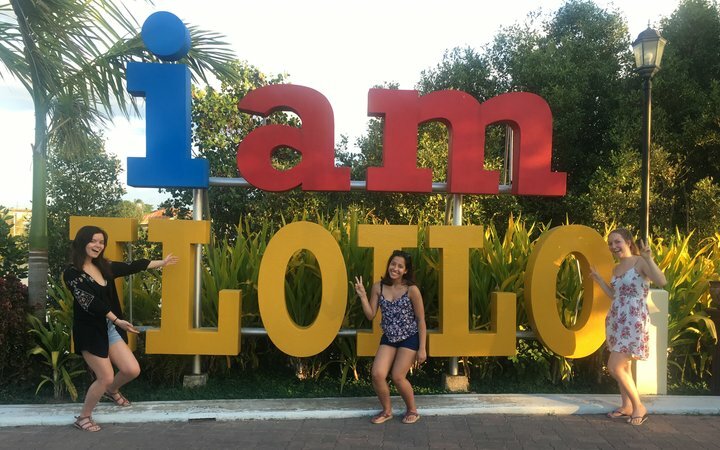 We stayed in contact with our new friends, and they took us out to eat and do some sightseeing just outside of Iloilo—something which we wouldn’t have known about had we not met them. We’re still in contact with them, and have become great friends. Throughout May, it was Manggahan Festival, which celebrates the local mango harvest. My housemates and I were in the shopping mall and looking around the mango stalls, when we were approached by a journalist who asked to take photos of us for an article. We ended up in a local Filipino magazine! 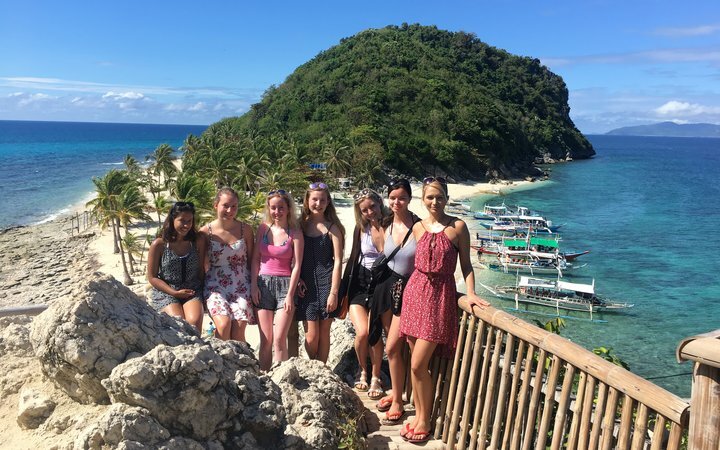 One travel highlight was a weekend away to Isla de Gigantes. We went island hopping to some of the most beautiful, untouched islands I’ve ever seen. Banana boating was fun, as was going on a land tour on motorbikes, where we visited a local village and helped clean scallops that had been gathered that day. At one point, my friends and I were watching two tour guides singing karaoke. They invited us over and we got to chatting. They told us about a village party that the whole village was supposed to be turning up to that evening. My friend and I decided to go and check it out. We heard the music as we approached the party, and ended up dancing the night away with the locals. When we got back to our accommodation, we stayed up on the terrace watching the stars. My advice for future students is to get involved as you can. Get to know the local people, they are amazing! They’ll treat you like family and welcome you with open arms! The love I felt there was nothing like I’ve experienced while travelling before.